The Farm Store is a pop-up market set up at each CSA pickup. Eating well can be difficult…life moves fast…and between work and family commitments it can be hard to find the time and energy to create and maintain the healthy eating habits we all want. It is easy to get stuck in a rut at the grocery store, buying the same canned and processed foods we always eat…because it’s easy. 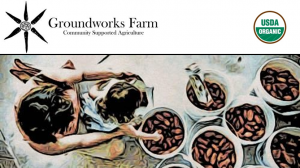 This is exactly where the Groundworks Farm CSA can help you. Sign up with us and – RIGHT AWAY – you will bring an ever-changing assortment of the most beautiful local and organic vegetables into your house (at an affordable price too!!). But, it doesn’t stop there. 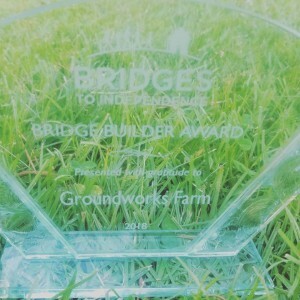 Groundworks Farm CSA is there with you the whole way. We have top notch support and service to help you use your produce and create great healthy, memorable, and easy meals for your family. 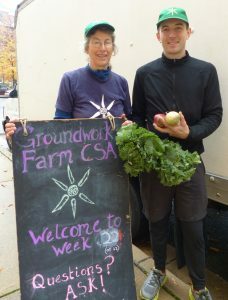 Helpful tips, simple recipes, and friendly advice await you at each CSA pickup. 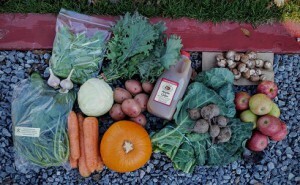 And, the CSA pickups are fun! 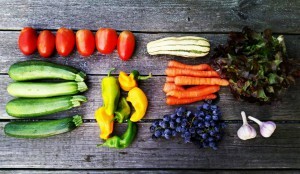 Pick out your produce with your kids! 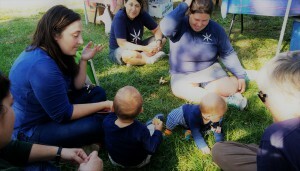 Meet other members in your community! Share your successful recipes and ideas! Get input from others. Make some friends. We’re here to make it simple and easy for you to eat great local organic produce at home. We want to help you be healthy and happy! Join us this Summer…you deserve it! REGISTER FOR SUMMER-FALL SHARES while Shares are still available! In my experience, joining a CSA can actually help with this problem by making your kids active participants in their food chain! 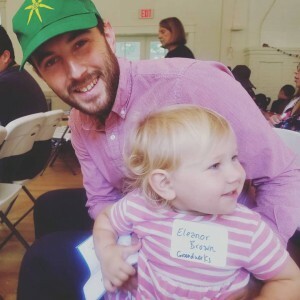 Kids can accompany their parents to CSA pickups, meet the people who grow their food, meet other families who participate, and go home energized and excited to try some new things! Our CSA pickups are actually designed to be kid friendly…all the produce is arranged at “kid height,” allowing kids to help their parents select which carrots to take home, or whether they want to eat lettuce or kale this week. 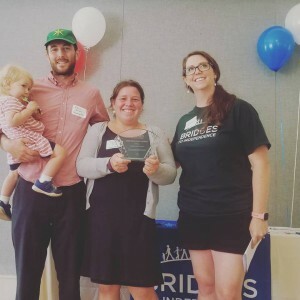 When kids are connected to the farm, they are more likely to be involved in the food preparation and healthy eating at home. 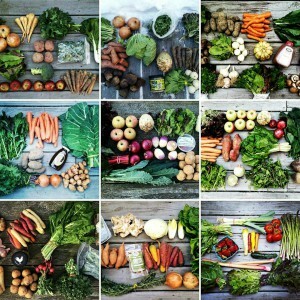 A CSA can really be a valuable and enriching experience for your whole family. 1. Create a kids’ cooking station. Seat them at the dinner table or counter away from the heat so that you can whip up dinner with minimal interference. 9. Accept that not all kids like to cook. Your non-cooking kids can still contribute to the meal by washing produce, setting the table, folding napkins, deciding which platters to use, garnishing the dishes, clearing the table and tasting each dish to determine if it needs additional seasoning. Cut off the most woody few inches of the scape stem and discard. Combine your washed garlic scapes, grated parmesan, nuts and lemon juice in a food processor and process at a medium speed until they are roughly chopped. Continue to run the food processor and slowly pour your olive oil in through the opening on the lid of the food processor. Process until all of the ingredients are very finely chopped and beginning to become smooth. If the pesto seems a little thick add 2-4 tablespoons of water until the desired thickness is achieved. Finally, stir in salt and pepper to taste. Serve on pasta, spread on toast, or use in a sandwich. Way to go Kevin, and thank you to WBOC for the VERY nice video!